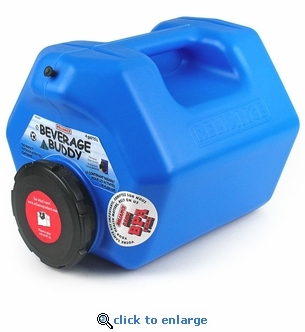 The Beverage Buddy 4 gallon water container is perfect for camping, picnics, travel, home and work. Made from heavy duty BPA-Free plastic, this water container withstand plenty of use. Hideaway spigot with on/off tap. Large size cap makes it easy to add ice. Fits in most standard refrigerators.